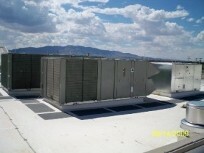 The U.S. Border Patrol Station in Fort Hancock, TX included roof-top units, energy recovery units, exhaust fans, variable air volume units (VAV's), hot water boilers / pumps, evaporative units, radiant heaters, mini-split systems, air distribution devices, unit heaters, and a HVAC direct-digital controls system (DDC). 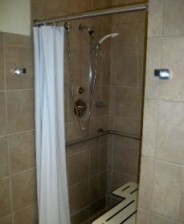 The U.S. Border Patrol Station in Fort Hancock, TX included a plumbing system with a septic system, leach field, domestic water system, fixtures including showers, lavatories, water closets, urinals, detainee lav/toilet combos, emergency eyewash stations, water heaters, backflow preventers, drinking fountains, kitchen sinks, mop sinks, hose bibs, floor drains, trench drains, an oil/water seporator, and a water recycle system. 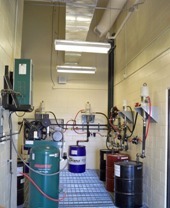 Along with Plumbing / HVAC Systems, Barnhart / Taylor, Inc. installed a vehicle wash system with a water recycling unit. High pressure piping was also installed to service vehicles with motor, transmission fluids, anti-freeze, compressed air, and other necessites for the facility's fleet. Barnhart/Taylor, Inc. installed four 2,000 gallon propane tanks which manifolded together and supply the building through a gas regulator. 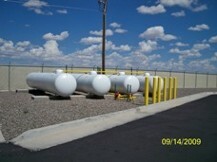 The building uses the propane to run its water heaters, boilers, and unit heaters.